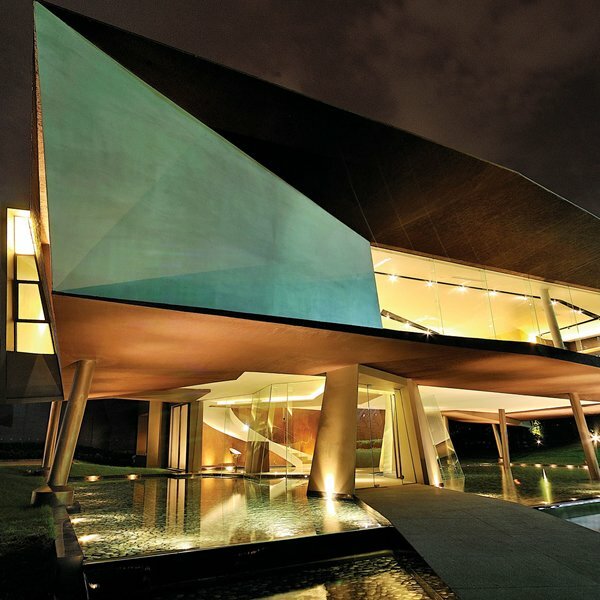 Have you ever wondered who is the worlds' top designer, the best architect, or the leading artist? If the answer is yes, you could have searched for many hours and not come up with a solid reference; since until recently, there has not been any ratings or ranking systems that could provide a non-subjective response rather than the opinions of experts and others. 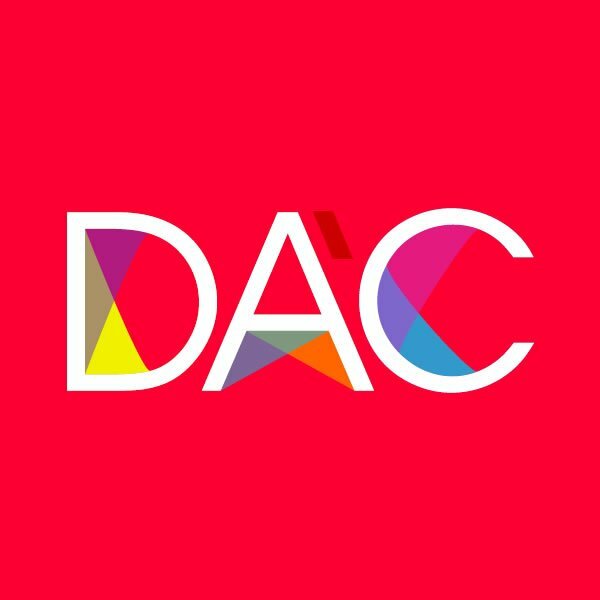 The DAC - Design Classifications is a platform which lists the best designers, artists, architects, architecture studios, creative agencies, design offices and companies based on the number of awards won in each category. To start, you need to choose a category for which you wish to see the top list i.e. the hall of fame for design. 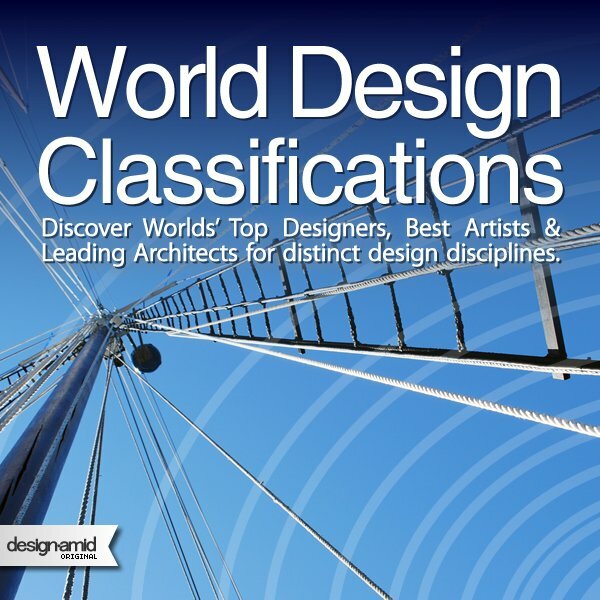 The first page of Design Classifications platform displays the most popular and most competitive design categories. 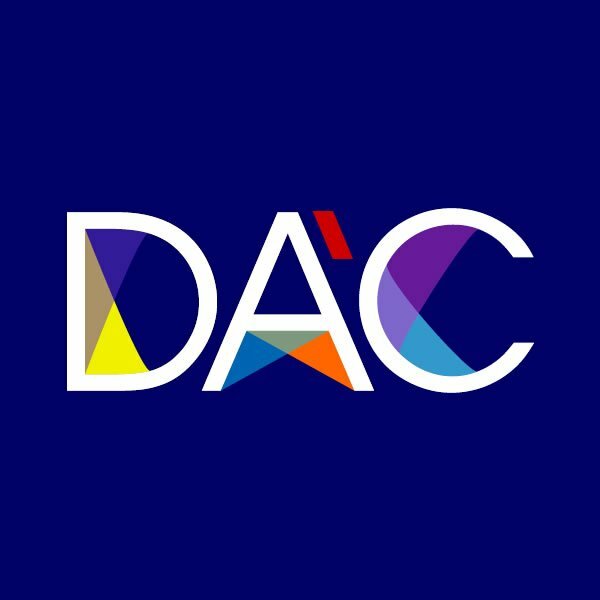 For example, at the time of writing this article, the most competitive categories were Interior and Exhibition Design, Furniture and Decorative Items Design and Packaging Design. Clicking on a category, provides a list of designers. 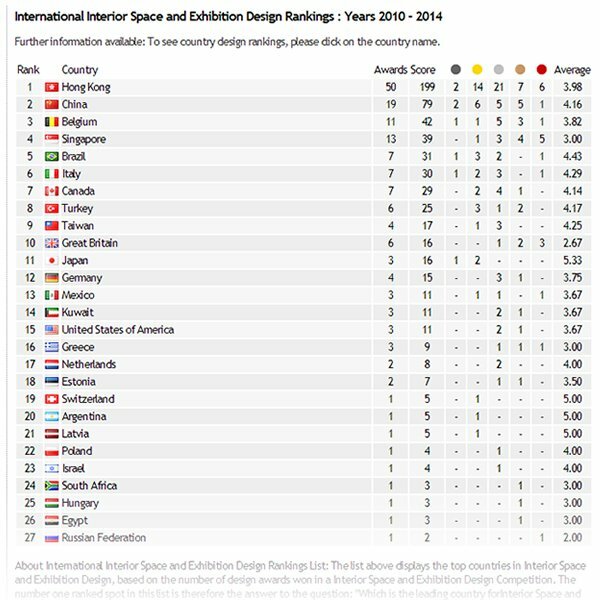 The screenshot above for example displays a list of interior designers who have won the highest number of design awards in interior design. Here, the top three interior designers are Kris Lin from China, One Plus Partnership from Hong Kong and Ruud Belmans from Belgium. If you click on a name, you will then be able to see portfolios and profiles of award winning interior designers. 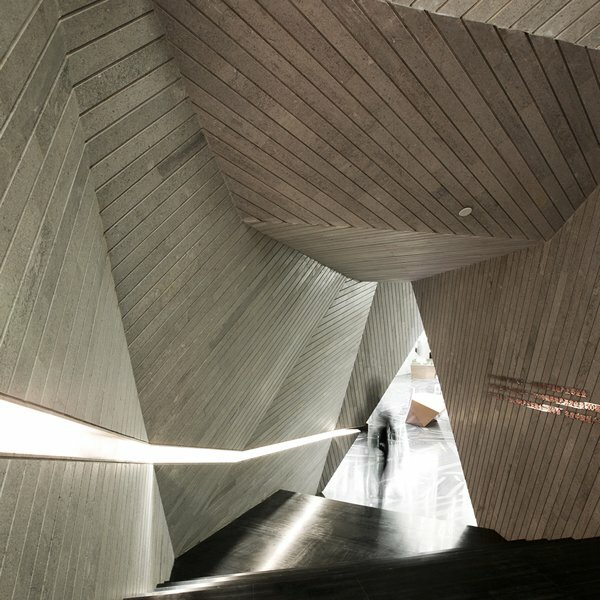 Above, a project by Kris Lin, who is one of the leading interior designers in the world. The project is titled The Float Real Estate Agency, and it also includes architectural design of the project as well as exhibition design. For further works of Kris Lin, you could explore his portfolio and award winning works at A' Design Award and Competition. Above is an example work from another leading interior design office One Plus Partnership Ltd. Chongqing Mountain and City Sales Office Sales Office is a modern and abstract design derived from the natural environment in Chongqing.To build the mountain scene, designers piled up the linear marbles strips and formed the irregular walls. Designer has to handle the irregular shapes of the slanted walls and the marble floor pattern carefully. Above you could see the Shoe Class Sneaker Store by Ruud Belmans for which the inspiration came from the store space's existing floor tiles, which reminded us of our old classroom. So we used old school furniture as display and shop fitting structures. Climbing frames from gym class with simple shelves with hooks create a flexible and creative wall system. 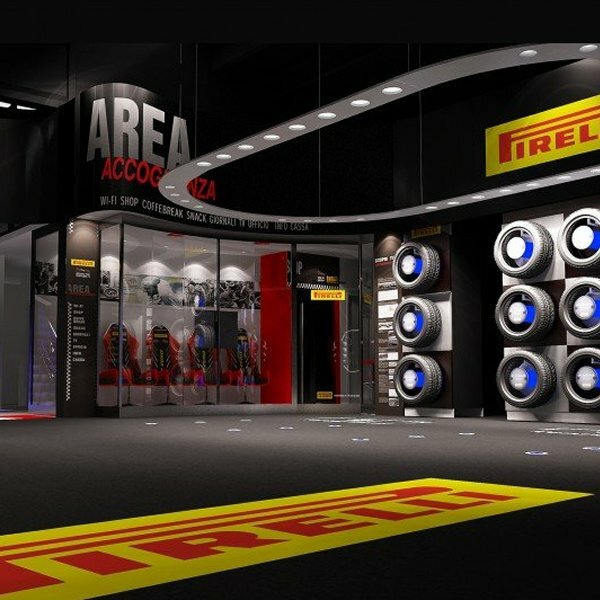 Above is a work by top Italian interior designer Alessandro Luciani, where the inspiring principles of the project consist in transforming the prospective clients’ approach towards their tire-dealers and directly involving them in the choice/purchase process. We tried to add new tools which can provide new experiences. Feeling through feelings. Perceiving through the 5 senses. 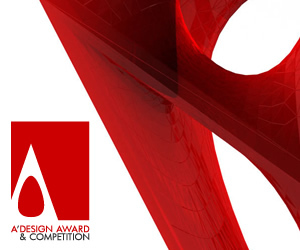 The image above are furniture designers who have won the highest number of design awards in furniture design category. 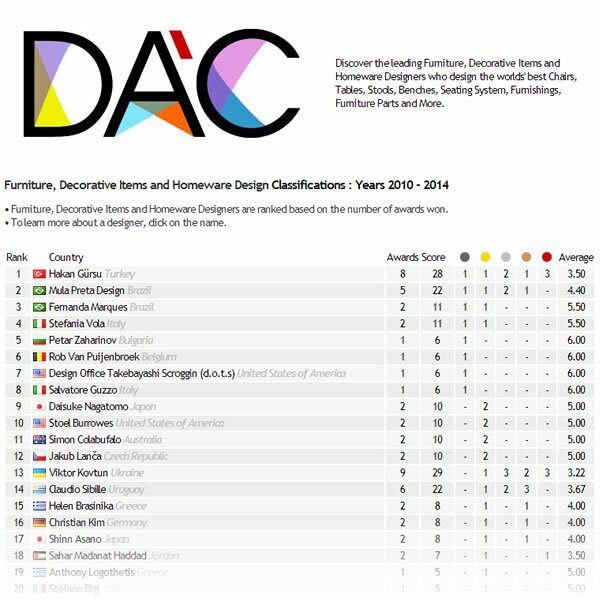 Here, the top three furniture designers are Hakan Gursu from Turkey, Mula Preta Design from Brazil and Fernanda Marques from Brazil, followed by Stefania Vola from Italy and Petar Zaharinov from Bulgaria. 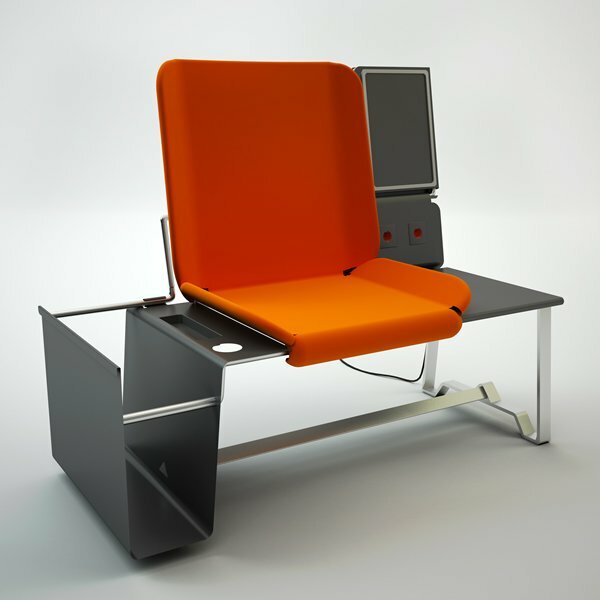 Above, an example work by leading Turkish furniture designer Hakan Gürsu: The Restpoint Airport Seating, a personal seating unit for airports and public spaces. Inspired by the need for privacy in waiting areas, Rest Point provides passengers a private area to relax and carry out activities such as getting online via personal digital device or reading. Placed in a shifted order, passengers are not disturbed by the person behind or interrupted by person next, since seating units are separate. 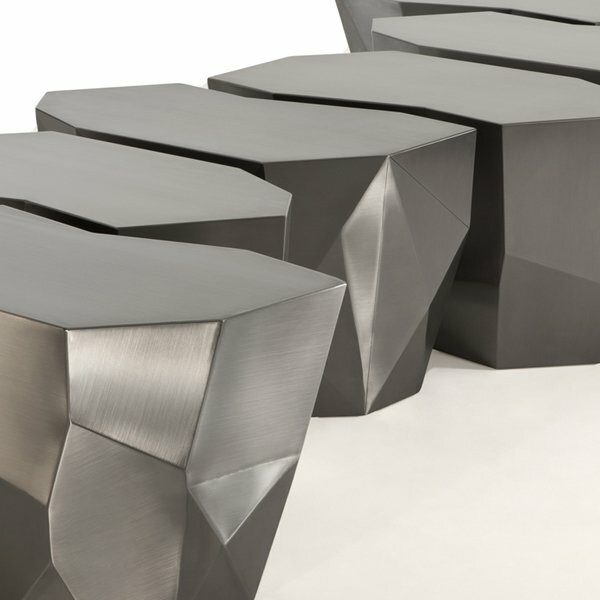 The Centopéia Bench, Table by one of the best furniture designers in the world; Mula Preta Design: Inspired by the nature, the Centipede Bench/Table was designed to imitate the real life with the idea of a moving insect. 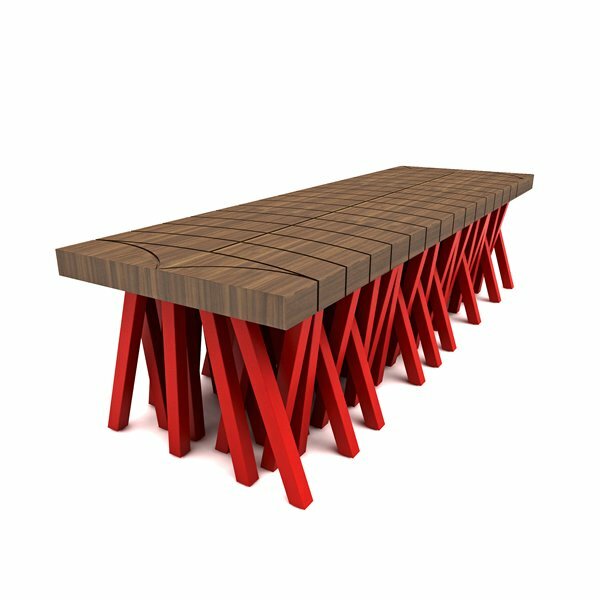 The Centipede table was produced in wood, all the legs with the same dimensions, painted before assemblage and connected to the handmade wooden top. Above, you could see the Infinite Steel Stool Stool by Fernanda Marques. Fernanda Marques is not only one of the worlds' top furniture designers, but actually, she is a leading interior designer from Brazil. The Infinite Steel Stool is custom-made from independent modules that fit together, each one weighing about 22 kg. Above a work by Stefania Vola. 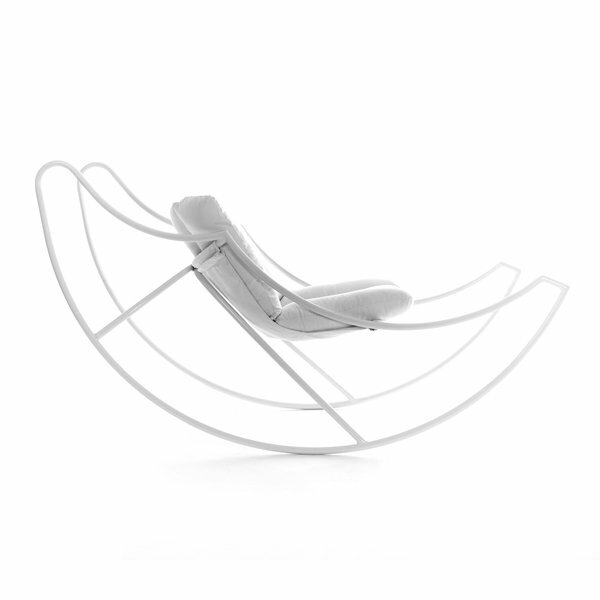 The Ali Di Luna, which translates into Moon’s Wings is Rocking Chair realized in tubular metal structure painted. Shaped pillow upholstered in alcantara flame-retardant class-1 textiles. The formal research was designed to express a reassuring feeling of security combined with a joyous lightness. 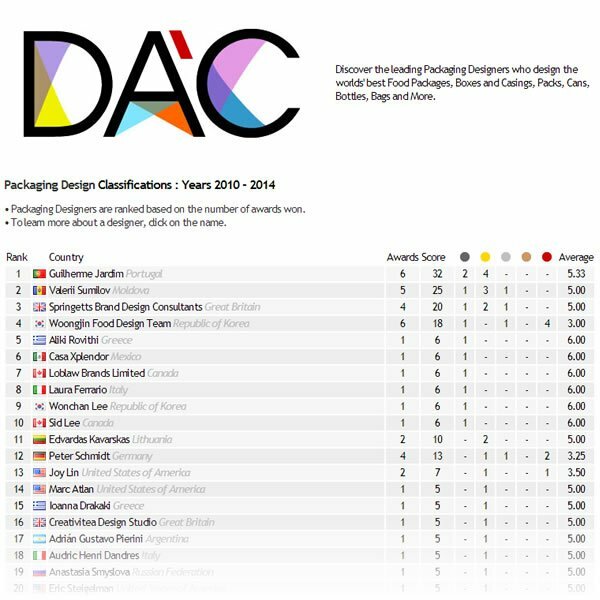 Finally, here is a look at the packaging design classification list, which is the list of top packaging designers throughout the world. First position is held by Guilherme Jardim from Portugal, followed by Valerii Sumilov from Moldova and Springetts Brand Design Consultants from England. 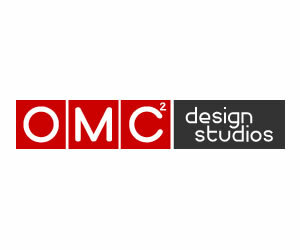 Clicking on a name, you could access the portfolio of award winning package designs. 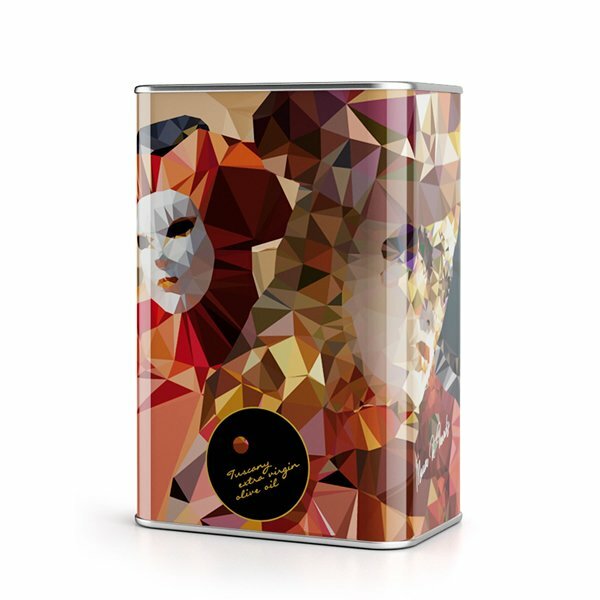 The Olive Oil Experience Gift Box was designed by Guilherme Jardim, the one of the best packaging designers in the world. 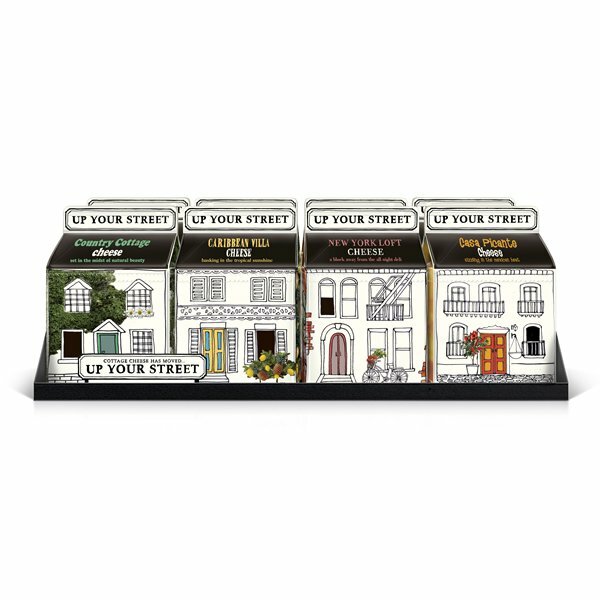 Design as a limited edition set of olive oils capturing the unique characteristics of Spain, Italy and Portugal in an individually distinctive yet unified collection; i.e. there are three different packages. Checkout the portfolio for others. 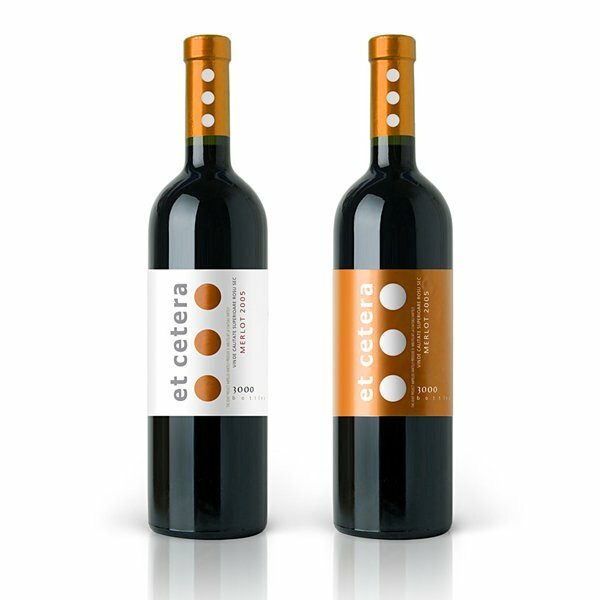 Above is the Et Cetera Merlot Exclusive Line of Quality Wine Bottle Design by Valerii Sumilov, the designed bottle helps to outline the manufacturer’s wine from the rest of the offer and be remembered by consumers as something original, interesting and unusual. For more of Valerii Sumilov works, visit the packaging portfolio. 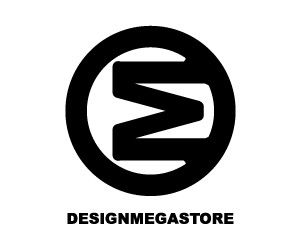 The design above was made by Springetts Brand Design Consultants. Springetts is worlds' leading design and brand consultants providing the best solutions to a wide range of clients. Springetts is the legendary agency that has also designed award winning packages as Egg for Soldiers, Sprout Baby Food and Power Lunch. Woongjin Food design team in Korea is also included in the list with extraordinary food package designs. 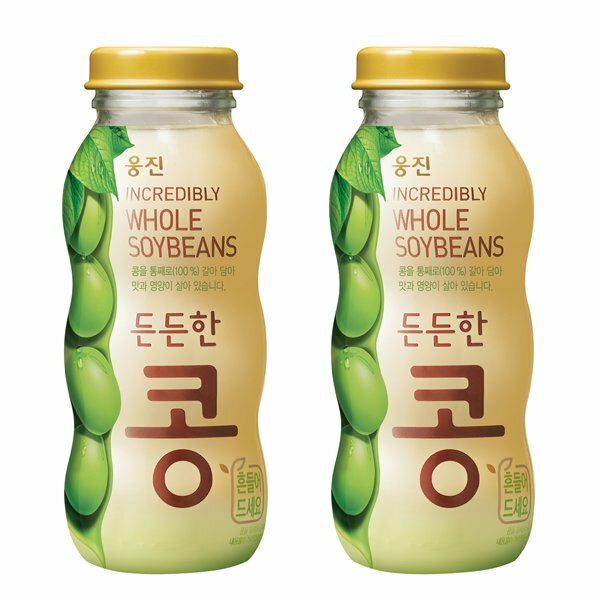 Deundeunhan Beans Beverage, which is shown above is a Platinum A' Design Award Winner for Packaging Design Category in 2011. 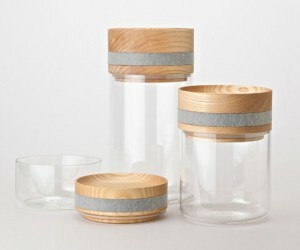 For more designs and different food packaging designs checkout Woongjin Packaging Design teams' portfolio. 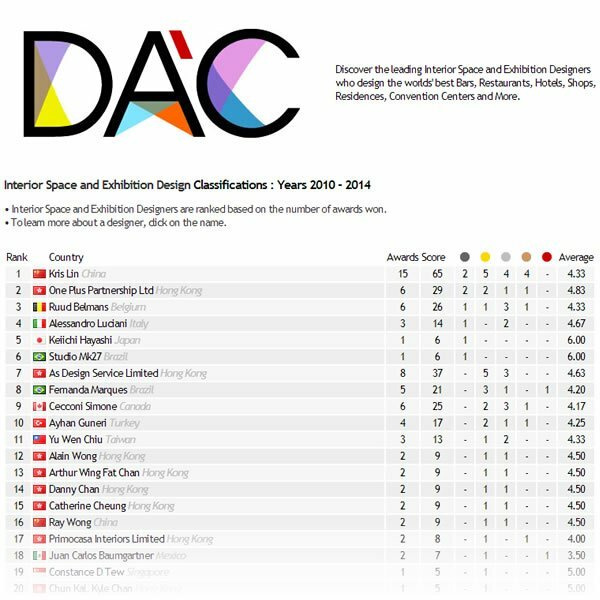 Furthermore, from the DAC Design Classifications, you could further discover which countries are best in a given design category. 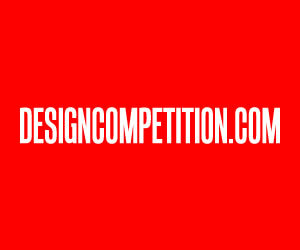 To do so, search the link at the bottom of Design Classifications for Design Business Insights; you will be redirected to World Design Rankings to get further insights. 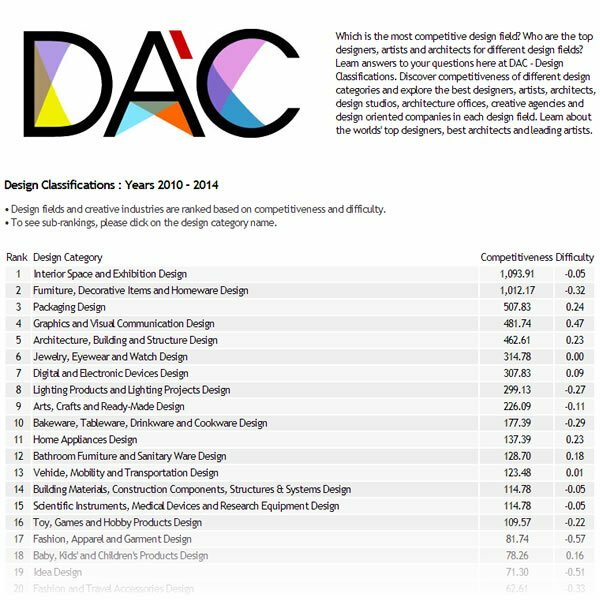 This article was added on Monday, 27th of January, 2014 at 05.26 am by author Frank Scott Tags: design classification, design standing, design rankings, design ladder. Read our copyright policy here.